Can you still access, display and export your old computer data? If the answer is maybe, perhaps or simply don’t know, wait no longer. Do not let photographs, text documents, spreadsheets or other digital content become corrupt and eventually inaccessible. In these cases your data is lost forever! 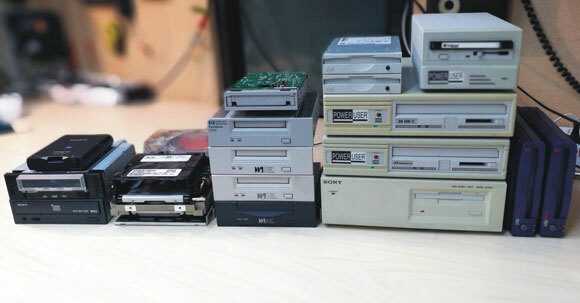 To offer our clients another chance at their data preservation and perpetuation, we collect and maintain a wide selection of obsolete disc, memory card as well as tape-based drives and readers. The latter part of this documents discusses the reliability of recordable CDs, and possibilities of rescuing data from previously ‘unreadable’ discs.